While the almond is often eaten raw or toasted, it is also a component of various dishes. 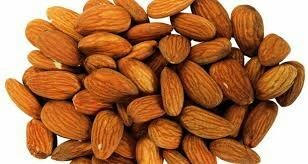 Almonds are available in many forms, such as whole, sliced (flaked, slivered), and as flour. The almond contains about 26% carbohydrates (12% dietary fiber, 6.3% sugars, 0.7% starch and the rest miscellaneous carbohydrates). 1 Cup of almond flour contains 20 grams of carbohydrates, of which 10 g is dietary fiber, for a net of 10 g of carbohydrate per cup. This makes almond flour very desirable for use in cake and bread recipes by people on carbohydrate-restricted diets. Almonds are a rich source of vitamin E, containing 26 mg per 100 g. About 20 percent of raw almond is high quality protein, a third of which are essential amino acids. Some people are allergic to nuts may be for almonds as well. Please check your doctors advice. 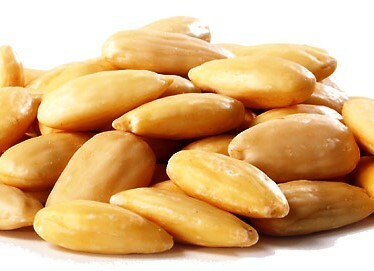 Almonds are delicous for many dishes.